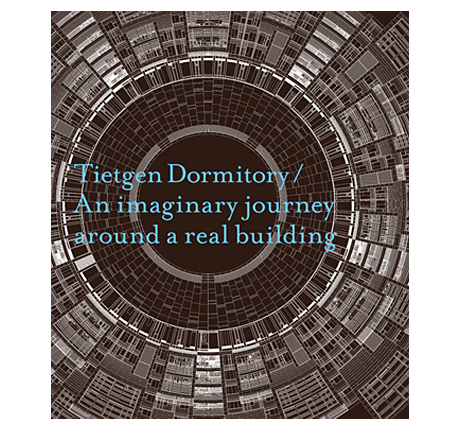 Nordeafonden has built the Tietgen Dormitory and supported the publication of this book. After many years as a full-time university teacher, Richard Weston now divides his time between his Studio and work as Professor of Architecture at Cardiff University. He has won prizes in national competitions for architecture, landscape design and public art, and exhibited on several occasions in the Summer Exhibition of the Royal Academy of Arts. Following the competitive ‘Best of British Open Design Call’ he now supplies Liberty with exclusive, widely acclaimed scarf collections printed using his database of natural images. A well known author on architecture, Richard’s dozen books include Modernism, winner of the International Book Award of the American Institute of Architects; Alvar Aalto, winner of the Sir Banister Fletcher Prize; and what was described in Blueprint as possibly the finest monograph ever produced about an architect, on the work of Jørn Utzon, architect of Sydney Opera House. Tietgen College, designed by the architects Lundgaard og Tranberg, is – in an entirely positive sense – something quite apart. A splendid circular element set in an urban environment that is otherwise very angular and regular. There is not at first sight anything about this building that resembles a hall of residence for students. And yet that is what it is. It is very much a building that takes heed of a community structure and also of relating its architectural approach to fundamental basic shapes in the history of architecture. So it is entirely fitting that this unique complex has now been the subject of a large-scale, weighty monograph. This book, published in a splendid design by Edition Bløndal, is a superbly illustrated work that immediately takes its “reader” on a journey of association with the object of showing how the architectonic forms in the Tietgen College are based on fine observation and the examination of the circle as a fundamental principle sensitively related to the quadrilateral; a point described by Richard Weston in the book’s essay (written in English, of course, for this is a subject of international importance) on the hall of residence and the circle. This essay is a very informative and illustrative tour of the architectural history of the circle. Overall, we are faced with a book that is outstandingly attractively presented. We turn page after page so that one allusion after the other is made clear by means of photographs and line drawings. And then, in the midst of it all, we find some buff pages in which our desire for textual information is splendidly accommodated by Weston. It is a delight to be able to be engrossed without all the time having everything explained. That is to say that everything is in fact constantly made clear through the illustrations, but in a different and more personal way than in the classical form of picture and caption. The book is fairly and squarely a conducted tour of idioms. And both we and our students can benefit from that. It is excellent that the Tietgen College exists; it must be a delightful place to live in. And for that reason it is a good thing that we have now been given access to the ideas and principles that led Lundgaard & Tranberg Arkitekter to what today can be seen in “Tietgen Dormitory. An imaginary journey around a real building”. Tietgenkollegiet, tegnet af Lundgaard og Tranberg Arkitekter, stikker ud på den gode måde. Et fint cirkulært element landet i et byrum, der ellers er meget kantet og regelret. Der er ikke umiddelbart noget kollegieagtigt over byggeriet, og så alligevel; det er i høj grad et byggeri, der refererer til fællesskabets strukturer, ud over at bygningen også trækker arkitekturlinjer ud til helt basale grundformer i arkitekturhistorien. Derfor er det helt efter bogen, at dette enestående bygningsværk nu har fået vældig og vægtig monografi. Bogen, der er udkommet i meget flot layout på forlaget Edition Bløndal, er en gedigen billedbog, så man som ”læser” straks kommer med på en associationsrejse med det formål at vise hvordan de arkitektoniske former i Tietgenkollegiet er baseret på fine iagttagelser og undersøgelser af cirklen som grundprincip, der fint forholder sig til firkanter; en pointe der beskrives af Richard Weston i bogens essay (på engelsk naturligvis, sagen er international) om kollegiet og cirklen. Dette essay er en meget informativ og illustrativ rundtur i cirklens arkitekturhistorie. Alf Gørup Theilgaard, cand.mag. Odsherred Gymnasium. …is each, as is well known, a computation that never works out. Like life that had been lived, in which determined repression is needed to make chaos emerge as order. For that very reason it is liberating to see the opposite movement made on a grand scale and in physical terms: to see the orthogonal building, deriving from the requirements of the law of gravity to build vertically and horizontally, conforming to the more organic, natural circular shape we find in the Tietgen College. This picture book devoted to this building achieves yet more: In the wealth of pictures from all corners of the earth it first of all naturally links the functions and shapes of this hall of residence to those of nature itself, from the rocky ledges of the puffin via the cylindrical repetitions of the corn cob to the radial symmetry of the medusa, perfect if it were not for the random programme inherent in all biological organisms. However, the structure and formatting of the book’s pages, the scaling of the individual shapes and the direction, chronological order and overwhelming force created by the succession of pictures also recreate the delights of childhood in their infinity. The experience of centrifugal tiers of association and an unlimited extent in time and space were perhaps due to lack of experience at that time, but they are now experienced by the adult as a liberation from indifference. The world sensed with fresh eyes. Also when the book is closed, and our gaze is directed in the direction of the lived life that the entire thing is about. Thank you for the vision, this reborn vision. Soren Vinterberg,journalist m.a. 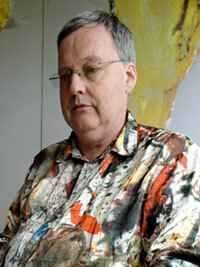 author of “Living Sketching” – Illustrators and comics through 125 years at Politiken Daily, published 2009. … er som bekendt et regnestykke, der aldrig går op. Ligesom det levede liv, hvor solid fortrængning er nødvendig for at få kaos til at fremstå som orden. Allerede derfor er det så befriende at se den modsatte bevægelse udført fysisk og i stor skala: Se det retvinklede byggeri, udsprunget af tyngdelovens krav om at bygge i lod og i vater, indordnet under den mere organisk selvgroende cirkelform som i Tietgen Kollegiet. Billedbogen om den bygning kan mere endnu: I billedstrømmen fra alverdens hjørner kobler den selvfølgelig for det første kollegiets funktioner og former med naturens egne, fra søpapegøjernes klippehylder over majskolbens cylindriske repetitioner til goplens radiærsymmetri, fuldendt hvis ikke det var for alle bioorganismers indbyggede random-program. Men bogsidernes opbygning og formatering, skaleringen af de enkelte former og billeddrifternes retning, rækkefølge og overvældende strømstyrke genskaber desuden barndommens fryd ved uendeligheden. Oplevelsen af centrifugale associationsrækker og grænseløs udstrækning i tid og rum skyldtes måske dengang manglende erfaring, men opleves nu af den voksne som en udfrielse af blasertheden. Verden sanset med friske øjne. Også når bogen igen er lukket, og blikket rettes mod det levede liv, som det hele jo handler om. Tak for synet, det genfødte syn. Soren Vinterberg,journalist mag.art,forfatter til Levende streger – Politikens tegnere og tegneserier i 125 år. Udkom 2009. ‘Ideal’ geometric forms such as circles and squares have an enduring appeal for architects, but are rarely suited to the contingent demands of modern building programmes and urban sites. Tietgen Dormitory, completed in Copenhagen in 2006, is a triumphant exception. Named after the leading Danish financier C.F. Tietgen (1829-91) and winner of numerous national and international architectural awards, the project began life as the dream of Nordea-fonden who wished to offer students a collegiate alternative to the contemporary norm of living individually or in small groups in private accommodation. Following an architectural competition the foundation’s vision was given form by the leading Danish architects Lundgaard and Tranberg, who found that the circular geometry, so rare in modern architecture, provided both a telling contrast to the orthogonal discipline of the surrounding buildings in the new-town district of Ørestad North and a perfect way of balancing community and privacy. Tietgen Dormitory is a unique celebration of a unique project. Through numerous specially prepared drawings and photographs and two short but evocative essays, it invites the reader to take an imaginative journey around the building and through the long and fascinating history of circular structures in world architecture – from vernacular dwellings to prefabricated houses, theatres to sports stadia, churches to ideal town plans. The book arrived – the concept is stunning: showing how making round architecture has been, throughout history, a fundamental human response to creating a sense of ‘group’ or ‘togetherness’. Beautiful illustrations – there has been amazing photo-research. And, the book even smells beautiful!!!! !